GW took Looted Wagons out of the codex, and I don't like the profile much anyway. 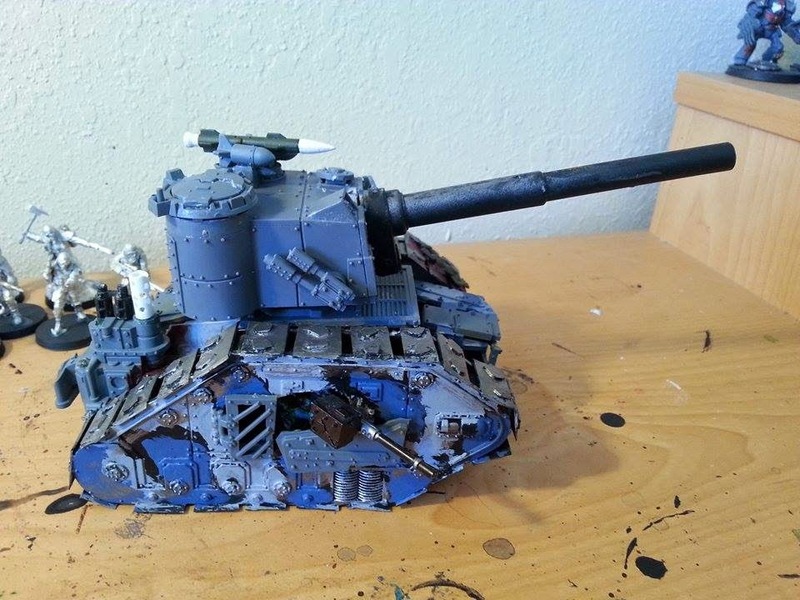 Thus, I will be running this, somewhat small, battlewagon as a transport for Grots. It will be a wagon with a Kill Kannon to explain the turret, but it lower point games, I may just run it as a really, really big Kannon. 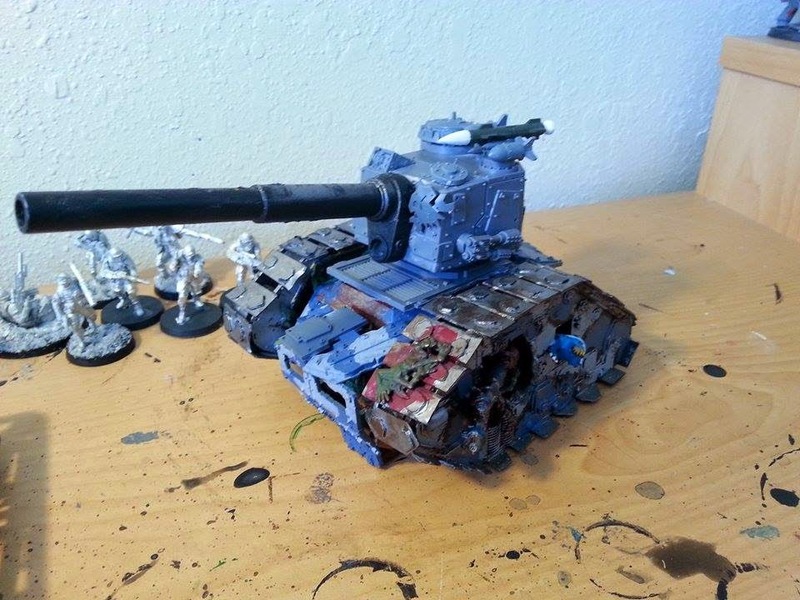 A friend of mine traded this vehicle to me, so I only made the turret. This wagon will put me to 5 Battlewagons, which is a magic number because I can now run the Blitza formation. If anyone complains about the size of this wagon, I will just hot swap the official model for drawing Line of Sight and cover. You can see Infinity figures looming in the background, which is the game that I rather put my money in, but I cannot give up the fun of hobbyside of Orks. This is Big Mek Buzz-Kill. He will be my big mek with Kustom Force Field on a bike. The killsaw may not be the best choice since it it is hefty in points, but it seems fun, and I wanted to model it. So there. I used a big shoota boy body from the Battlewagon kit to make a surfing Ork. It is is dumb, but we are talking about cockney-speaking fungus here. I learned that I enjoy hobbying much more if I just make/paint what makes me happy as opposed if it will seem idiotic to others. Thus, one of the handle bars is an axe. 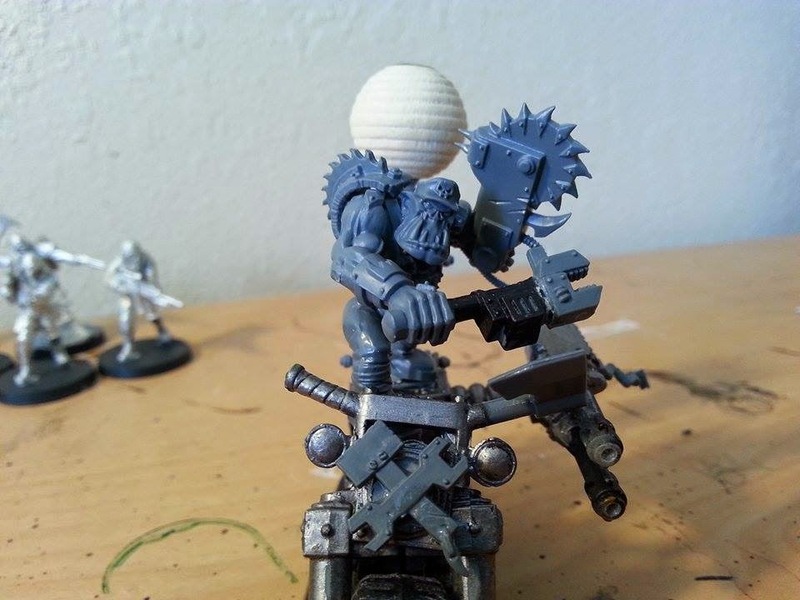 This mek is so kunning that he made a choppa-handla bar. I love these conversions! 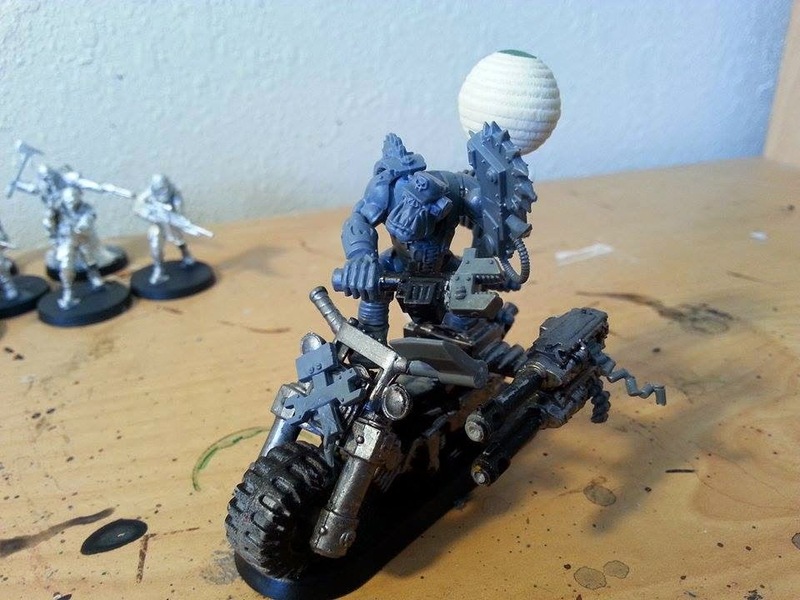 One of the greatest joys I have out of the new ork codex...is everyone is flooding the net with wonderful orky ideas and contraptions!